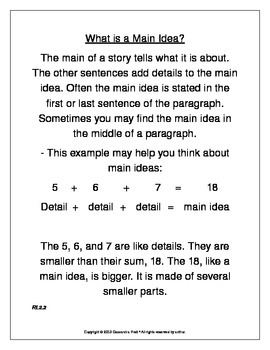 This product includes an Main Idea anchor chart and 5 assessment units. Each unit has 5 stories and 5 main idea questions. That's a total of 25 stories and 25 main idea assessment questions! This product can be used to supplement your lesson plans, during small group, guided reading, or even for a final test/assessment. 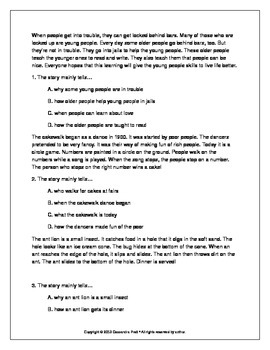 I have even used the stories 1 at a time as morning work and reviewed it as a whole group! Each story is common core aligned and they are all non-fiction (Informational)! Imagine the information your students will learn with out even realizing it! Great for test prep!